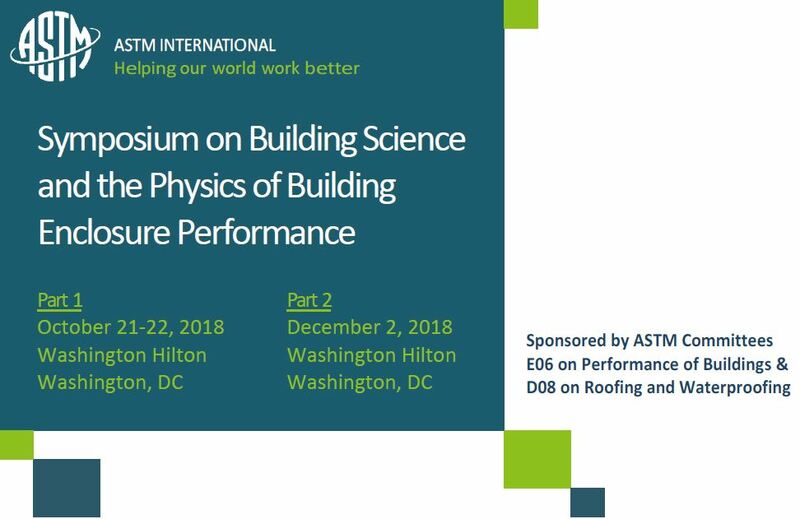 The Symposium on Building Science and the Physics of Building Enclosure Performance – Part 1 will be held on October 21-22, 2018 at the Washington Hilton in Washington, D.C. This two-part symposium will provide a forum for the exchange of ideas on current research regarding building science and the physics of building enclosure and whole building performance, with an emphasis on transitions between the horizontal and the vertical and the critical points of intersection; testing and assessment of heat, air, and moisture transfer; energy use; and the environment. In-person and online attendance options are offered. You also can find more detailed information on ASTM’s website.